NRV-S is a patented directional control valve with a built-in switch in a water proof housing IP67 made of POM and is e.g. 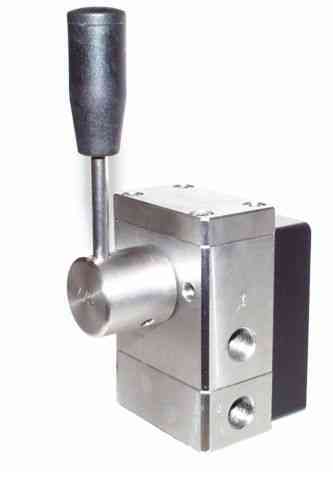 suitable for the start/stop of a hydraulic pump unit. NRV-S er en håndbetjente patenteret retnings ventil med indbygget switch i et vandtæt hus IP67 af POM og er fx. velegnet til start/stop af en hydraulisk pumpestation.